While you may be enjoying basking in the summer sunshine and hoping that this glorious weather will last, for the fashionistas out there, they’re looking forward to one thing: the new season. Why? Autumn/winter trends, of course. Wondering which pieces you must invest in to stay on-trend? Here are the must-have trends that you need for your wardrobe. This is the one key piece of clothing that you simply have to get right for autumn/winter. After all, your outerwear not only needs to complement your existing wardrobe but highlight your fashion-forward style. This season, the catwalks showcased two major outerwear trends: capes and tweed. If you love to be daring with your fashion choices, strut your stuff in a structured cape. Or for a chic finish, choose an elegantly tailored tweed jacket. Loud, bold and fun, an animal print can make a real statement. For 2018, it’s all about leopard print, with designers like Dolce and Gabbana, Tom Ford and Michael Kors sending bold patterns down the runway. For the brave, go head-to-toe with a leopard print coat. Or for small and stylish updates, a pair of heels or a handbag will transform any outfit. For the last couple of seasons, rose gold has been the favoured metallic shade, but that’s all about to change for autumn/winter. This time, silver takes centre stage, with futuristic iridescent and eye-catching shades. From dresses that look like liquid silver to sequin covered head turners, if you only buy one dress this season, invest in a silver number. Alternatively, to update your accessories, choose a silver Henry London watch. You may be thinking, leather is always a fashionable choice, so why is it on the list? The answer: this year, leather has had a makeover. For the upcoming season, picture high gloss finishes and cool vinyl, from dresses to trousers. No matter what item of clothing you choose, to be on-trend, it’s all about how you wear it. Pair with a cable knit jumper for effortless style, or amp it up with a structured trench. Fabulously feminine, a well-cut pleated skirt never goes out of style. This year, they’ve been seen on autumn/winter catwalks from the likes of Valentino, J W Anderson and Balenciaga. For a tough edge, go for a structured pleat and pair with a t-shirt. Or for a romantic touch, layer up with a sheer lace or tulle design. What are your go-to pieces or trends for autumn? I love the cape jackets, they are SO nice and comfortable to wear. Definitely a favourite. I cannot wait to wear scarves again and hats! I can't wait until my baby has arrived and I can start buying new clothes again! I’ve never owned a cape jacket, I think I’d find them a bit uncomfortable but I love the style of it! 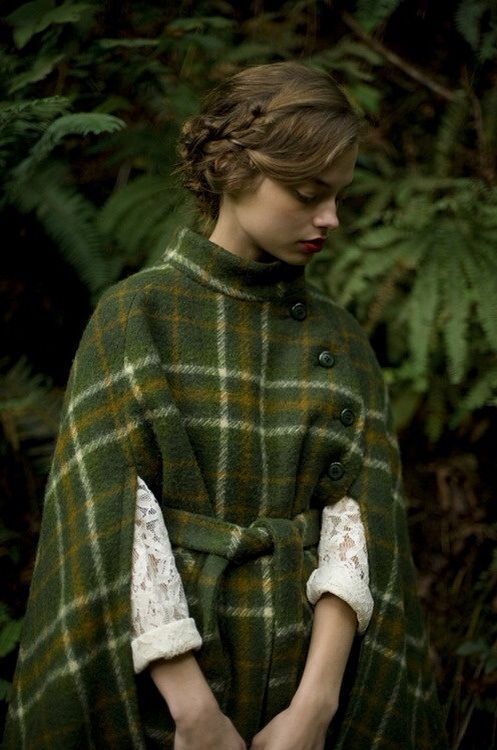 Capes and tweed is my kind of thing for the autumn! I need a wardrobe rehaul so this is very useful! I love a little bit of tweed for autumn, i'm honestly SO ready for colder weather now! I love tweed, I have a really old coat that is tweed and it's so good for Autumn! The coat is fabulous! I can't wait for Autumn! All the beautiful colours, jackets and nice boots!! I really love capes in the cooler weather! Bring me the chunky knits and cardigans immediately! I love the idea of capes!